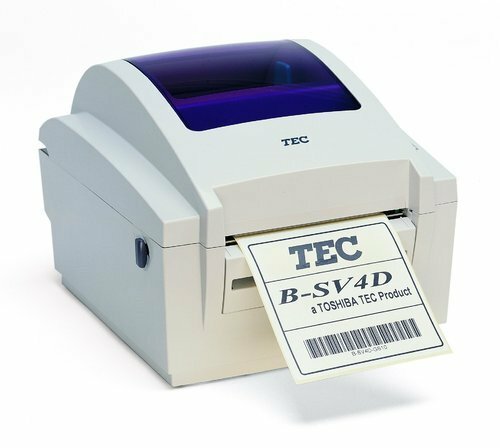 Toshiba TEC's barcode printers are specifically designed to produce high quality accurate barcode labels and tickets, as required to maximize efficiency in today's highly automated society. Whether you require portable printers, low output budget printers, medium output desktop-sized units, or high output industrial strength machines, Toshiba TEC's extensive product range will provide the ideal solution to your printing needs. 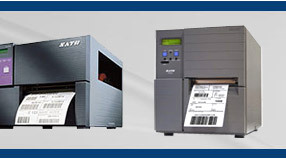 Our range of thermal printers work at optimal processing and printing speeds while ensuring the highest degree of reliability for business-critical applications. They are trusted worldwide to provide performance printing solutions combined with a low cost of ownership. Perfect small labels: Assisted by centrally aligned media, print accuracy stands at a quite incredible +/- 0.3 mm (on Toshiba recommended paper). 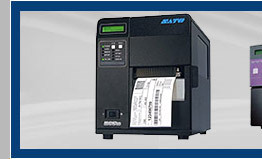 Highly flexible, the B-452 Desktop Thermal Barcode Printer provides a powerful solution for moderate volume tag and label applications. The B-452 comes with 2 mb DRAM and Flash ROM, loaded with 20 bit map fonts, barcodes, and 2-D symbologies. The printer can be used for stand-alone applications with the optional KB-80 keyboard, or interface directly to a serial scanner, host computer, or network server. Available in either AC or DC power. Its rugged and attractive ABS construction make the B-452 tough enough for warehouse applications, yet attractive enough for retail enviroments. The B-452 is backed by TOSHIBA TEC's standard 1-year warranty on parts and a 1-year or 2 million print inches warranty on the thermal head. Day to day operation of the B-452 is user-friendly. The B-452 TOSHIBA TEC's standard green operating cues, which provide ease of operator training, simple ribbon and media loading, and a snap in printhead design to minimize downtime and increase productivity. 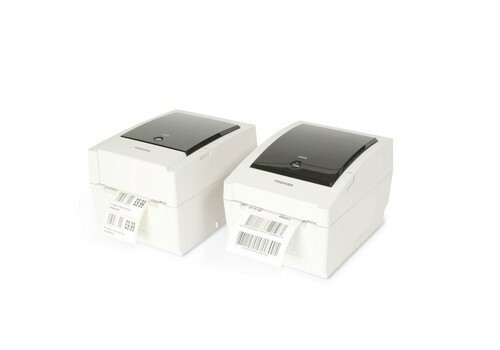 The B-452-HS barcode thermal printer provides a barcode printing solution when conventional thermal printers fail to perform. This powerful and flexible addition to the TOSHIBA TEC product line is designed to be a perfect solution for printing fine detail, high resolution labels. The B-452-HS a high resolution 600 dpi print head designed to meet the demands for small or varied print runs where traditional thermal transfer printers cannot meet the image quality demands. 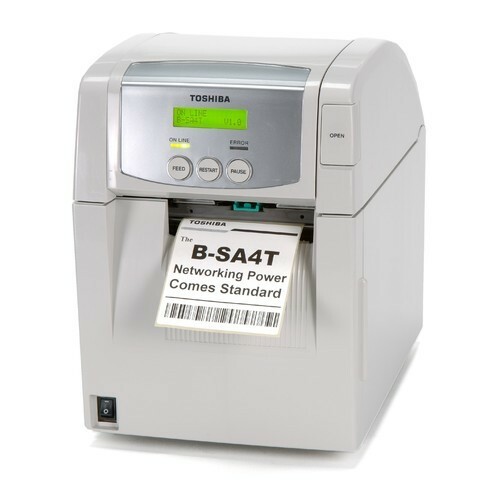 The B-452-HS is perfect for printing asset tags, pharmaceutical labels, warranty labels, and product marking labels. Standard features are packed into the B-452-HS including parallel, serial, and I/O interfaces, 600 dpi printing at 2 per second, 20 built in bit mapped fonts, 7 outline fonts including price fonts, adjustable reflective and transmissive sensors and an internal 2 MB flash memory area. 20 types of bit mapped fonts with a character/barcode rotation function: Standard, Times Roman, Helvetica, Letter Gothic, Courier, Presentation, OCR-A, OCR-B, and Prestige Elite to name a few. Easy to use on any host with the TPCL language or using the Windows® driver for 95/98, NT4.0, and Windows 2000 . Center loaded media path which ensures media is pulled through evenly and uniformly. Take the guess work out of loading media with the self-centering media guide. It automatically adjusts from the center outward to ensure proper media loading. Print up to 4.3" width and 7.87" in height. 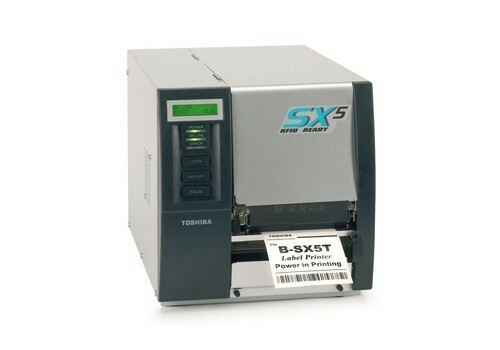 The B-SX6/SX8 wide web printers from Toshiba TEC with RFID functionality (option) and powerful networking deliver outstanding performance for a wide variety of environments and applications. These innovative industrial printers offer advanced features including extremely fast processing, large internal memory, web printer controls, outstanding SNMP networking tools and RFID options. 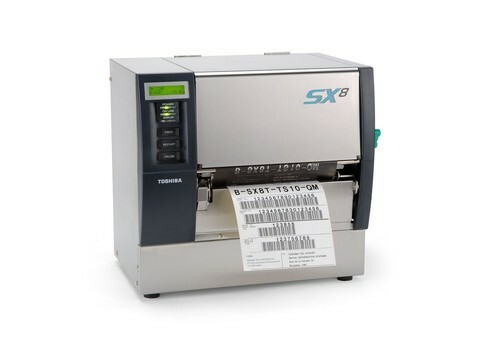 Utilizing ground breaking CPU technology from Toshiba TEC the B-SX6/SX8 models offer high-speed printing and enhanced processing via an extensive choice of interfaces. 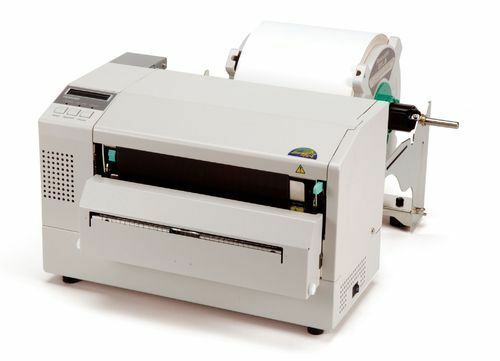 The 305 dpi, 170.5 mm wide print heads facilitate speedy printing of large format compliance labels. The optional ribbon save function conserves the ribbon when it is not required, reducing costs, the amount of down-time and allowing optimal performance for RFID (option) encoding work. 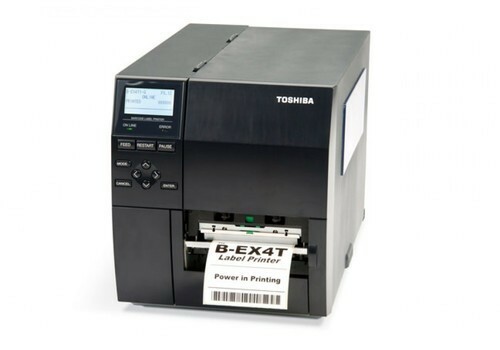 For future proofing, the B-SX6 printers are compatible with legacy systems, Toshiba or non-Toshiba. Software and supplies are compatible with the B-682, B-882, B-672 and B-872 printers. The B-SX6/BSX8 comes with a free Central Network Management Suite that allows the user to manage all the Toshiba printers attached to the network through their IP address. All of Toshiba TEC's new generation of thermal printers for the industrial environment are RFID ready. The Toshiba TEC B-852 is the most versatile wide web printer on the market. The extensive standard features, in addition to technologically advanced options, allow the Toshiba TEC B-852 to crossover into retailing, manufacturing, and drum labeling. The Toshiba TEC B-852 is the perfect fit for applications where high-end printers are cost prohibitive and low-end printers cannot handle the job. The Toshiba TEC B-852 comes equipped with an 8.5" 300dpi print head for high clarity printing. Add to this a very compact body (only 385 x 182 x 243mm excluding supply holder) and print speeds of up to 4ips and the result is the superb print quality expected of a leading printer manufacturer. On top of this the Toshiba TEC B-852 has the latest most advanced features of the Toshiba TEC Range. By installing the optional PCMCIA interface more Logos, fonts and label formats can be stored on PCMCIA memory cards. Networking is available through the PCMCIA Ethernet LAN card (supporting FTP Client/Server, LPD) which also allows a whole host of Internet Web Printer Controls. The newest option for the B-852 is the addition of a PCL5 board, which will allow instant connection to a variety of systems without the need for software changes. A new, faster CPU (internal clock speed 60 MHz, outer clock speed 30 MHz) improves the overall throughput and coupled with the greater memory capacity provides a print length of up to 25" (640mm). Other options include 20 downloadable True Type fonts, swing cutter module, expansion I/O interface & keyboard module giving the performance and flexibility to meet all your printing requirements.